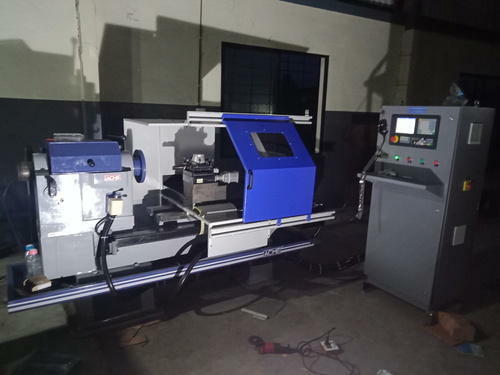 We are a foremost firm of the industry, engaged in manufacturing and supplying a wide array of quality assured CNC and Lathe Retrofitting Machines. These machines are highly demanded for their unmatched quality and long functional life. We are a leading Manufacturer and Supplier of comprehensive range of CNC and Lathe Retrofitting Machines. These products are manufactured using quality approved components and innovative technology. The offered product range is acknowledged for attributes such as rugged construction, high performance, hassle-free functionality, low maintenance and longer working life. Clients can avail the offered product range from us in various technical specifications at market leading prices.